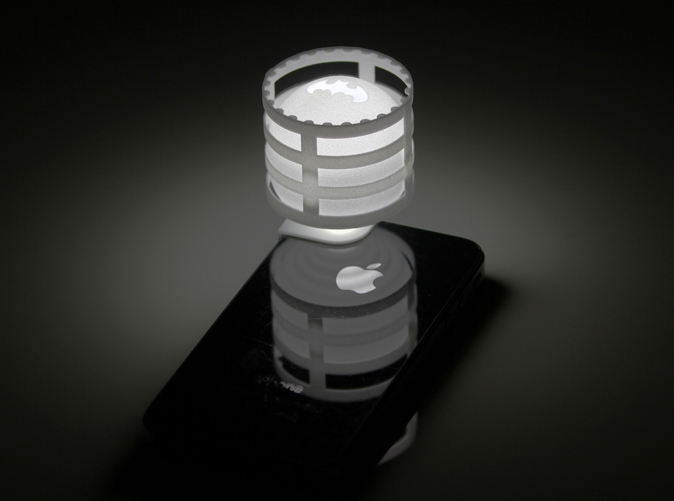 The Lightcip is an ambient light accessory for your iPhone. Just slide it over your iPhone, and use any of the free flashlight apps. The Lightclip was designed specifically for 3D printing in White Strong and Flexible. This material is very strong (obviously), affordable and an excellent light diffuser. 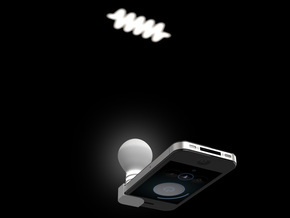 The Lightclip emits a beautiful ambient light, which is evenly distributed and very easy on the eyes. 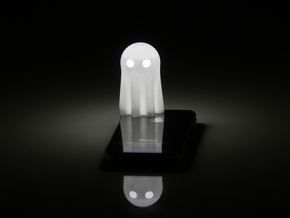 Use it as a nightlight, at a camping trip or when in need of a superhero! 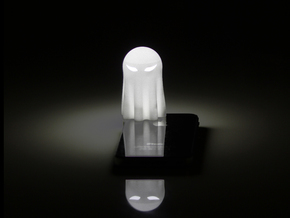 This version is compatible with the iPhone 5 and the iPhone 5s only. Please note that colors other than white block quite a bit of the light, but look amazing in a dark room and the Bat Signal is extremely bright!